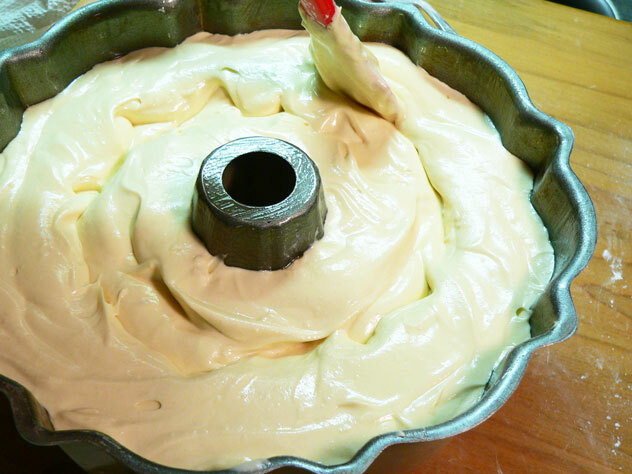 Take the spatula and carefully run it through the middle section of your batter. Force the batter up the sides of the pan and the sides of the tube just a little. This will help the cake to rise more evenly once it begins to bake.